Fourth grade really uses all their technology. 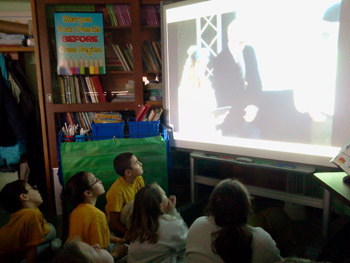 The pictures show the students joining a live web cast from California via Discovery Education. 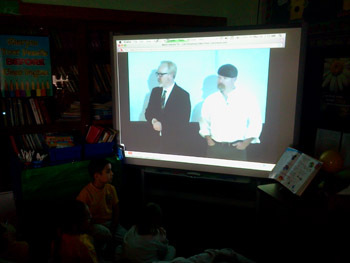 They were able to see Jaimie Hyneman and Adam Savage the hosts of television's Mythbusters as they answered questions sent in from various schools around the country.